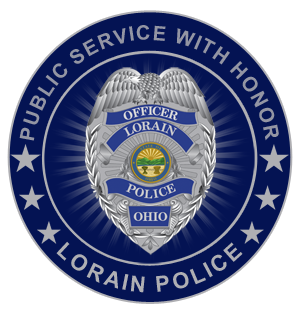 This award recognizes officers of the Lorain Police Department who have honorably served as the senior Patrolman in the department. 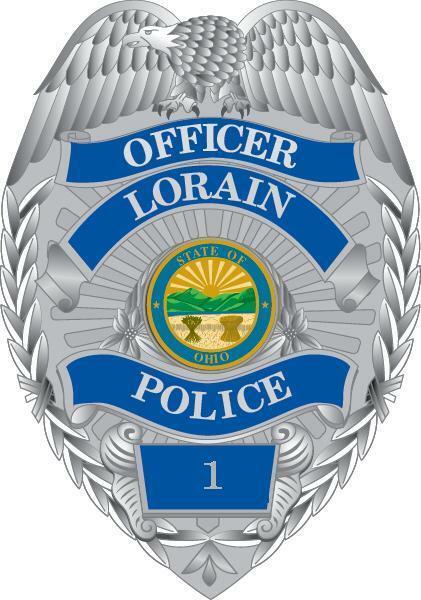 The current senior Patrolman for the Lorain Police Department who holds the honor of serving as Badge One is officer ELADIO ANDUJAR. The Medal of Valor is awarded to any member for an act of outstanding bravery or heroism by which the individual has demonstrated a great degree of selflessness, personal courage, professionalism and devotion to duty. Lieutenant Jack Fleming Officer James Wolford, Jr. The Purple Heart is awarded to any member who is killed in the performance of duty as well as to any member who sustained an injury while in the performance of duty, which constitutes serious physical harm as defined in the Ohio Revised Code, and was the result of an intentional criminal assault such as a shooting, stabbing, or bludgeoning. The Blue Star is awarded to a member who, while in the performance of duty, sustains an injury which constituted serious physical harm as defined by the Oho Revised Code, but does not meet the standard set forth for the Purple Heart. The Commendation is awarded to a member who accomplished an act or service, or has performed in a manner above that which would normally be expected. It must be sufficient to distinguish the individual member above those of comparable position and responsibility and reflect a highly credible accomplishment. It may be awarded when members have displayed extraordinary intelligence, and ability in effecting arrests, preventing a crime or solving a case. Officer William Lachner Officer James Wolford Jr. Officer William Lachner Officer James Wolford, Jr. The Good Conduct is awarded to all members who continuously demonstrate conscientious adherence to department rules, regulations, guidelines, and policies. To receive this award, this member must have no suspension days and no letters of reprimands for a 3-year period. A member shall be eligible for the award upon completion of 3 years of consecutive service. In order to continue wearing the award, the member must not receive a suspension or letter of reprimand. Subsequent awards will be noted with the appropriate numerical representation; i.e., 2, 3, 4, etc. The Safe Driving is awarded to those individuals who demonstrate safe driving habits. This award will be given to a member who completed 5 consecutive years of service without a preventable vehicular accident. The award is available in five-year increments. A chargeable or preventable collision will void the time accumulated toward the next five-year level and start the five-year clock all over again. The award will be annotated with the appropriate 5-year increment. Officer Christopher Kovach Officer James Wolford, Jr. The Academic Achievement is awarded to members who have attained as Associate Degree, or higher, in a field related to the law enforcement profession. The Special Service Ribbon is awarded to members who have honorably served in one of the following specialized Departmental Units: Bomb Squad, Crisis Intervention Team, Detective, Dive Team, Field Training Officer, Honor Guard, K-9 Unit, Marine Patrol, Negotiator, S.W.A.T., School Resource Officer, Traffic.